On a wondrous and edifying episode of After Hours AM/America’s Most Haunted Radio — scintillating paranormal talk Thursdays 9-11pE with hosts Joel Sturgis, Eric Olsen, and Heidi Hollis — we speak with paranormal legend, the Reverend Tim Shaw, about haunted objects and all things spooky. Tim joins us at 10pE; at 9pE, Joel, Eric, and Heidi rampage through the latest paranormal news from the America’s Most Haunted Twitter feed. Tim Shaw has had a long fascination with ghosts and things that go bump in the night. He can trace the religious tradition of Spiritualism in his family back to the 1880’s and has several spiritual mediums in his lineage. As a child he experienced paranormal phenomena, eventually taking extensive training in mediumship. He does not, however, believe that everything is a ghost. Tim possesses a heathy dose of skepticism that aids in his desire to seek out the truth. Shaw is an accomplished photographer and skilled traditional leather worker who also enjoys backwoods primitive trekking, flint knapping, and urban exploration. Tim is a successful author, lecturer, media personality, and photographer. He wrote Ghosts of Buffalo: Mysteries, Murder, and Mayhem in the Nickel City, The Dogma of…ME, The C2D1 Haunting, and Rev. Zombie’s Book of Divination. 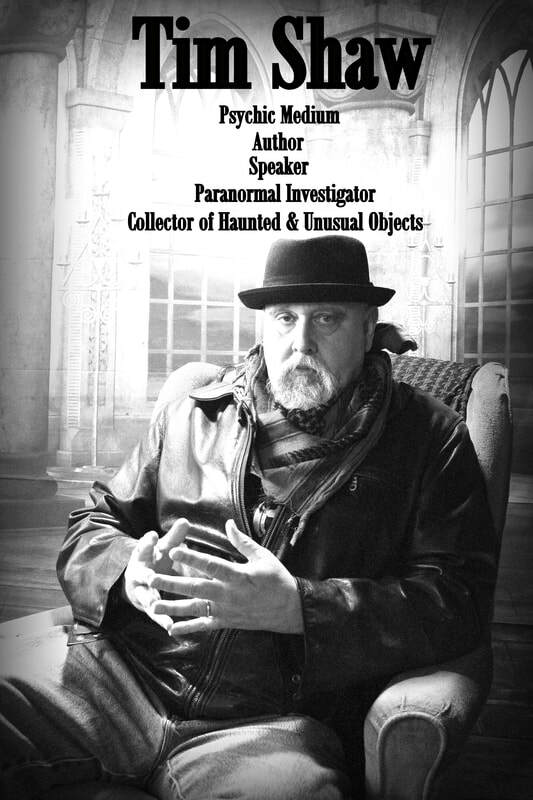 He co-wrote Haunted Rochester, contributed to Marla Brooks’ Animal Spells and Magick; Dark Moon Press’s Lost Whispers, A Collective Allegory of Haunted America; and contributed photographs to Haunted Prisons and Haunted Asylums. 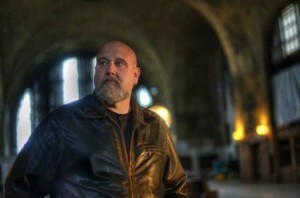 Tim has consulted and appeared in numerous movies and television shows including Discovery Channel’s Ghost Lab, SyFy’s Ghost Hunters, Spike’s Ghost Ops, and Destination America’s Paranormal Lockdown. 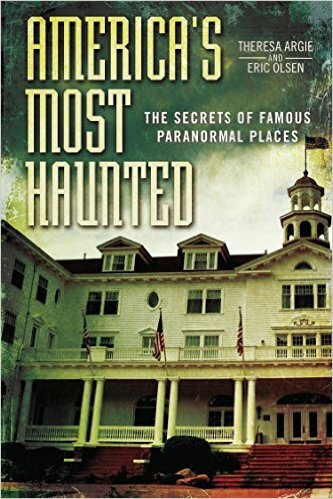 On Travel Channel’s America’s Most Terrifying Places, Tim talked about his experiences at the Haunted Hinsdale House. He has also appeared in Core Productions’ John Zaffis, The World Within, Deftone Pictures‘ Ombis, To Catch A Soul, A Grim Becoming, and Paranormal Western New York; WKBW’s The NOW; and the documentary The March Creek Tramp. As a radio and podcast host Tim has produced and participated in many projects such as CBS’ The Psychics Next Door, internet radio hit Black Cat Lounge, and with good friend Eric Charles on the web series CURIOSITY, and its associated podcast CURIOSITY RADIO. A busy lecturer, among Tim’s areas of expertise are Old School Paranormal Investigations; New School Paranormal Investigation; Dowsing for Energy, Thoughtforms, And Spirits; Séance and Vigil; Table Tipping/Turning; Spirit Types-Just Who Are You Really Dealing With? ; Ouija – The History and Practice; and Haunted and Unusual Objects ~ A Most Curious Collection, which we will be focusing on tonight. How does an object become “haunted?” What to do with something that you suspect might be problematic? Most interesting is Tim’s personal collection of the strange including items removed from haunted locations both in the US and in the UK: effigies designed to release spirits, holy and blessed objects (not everything that is considered “haunted” is evil), paperwork from closed Insane Asylums, and much more.